Debtor-in-Possession Bank Accounts and Rules: What Happens When You File a Chapter 11 for a Small Business? A debtor in possession must follow specific rules concerning bank accounts, as well as other rules concerning payment of fees and taxes. We will explain below. Under the U.S. Bankruptcy Code, a debtor in possession (DIP) in a Chapter 11 bankruptcy case is often a business—but it can also be a person—that has filed for bankruptcy but remains in possession of property for which one or more creditors still have rights. In other words, a DIP in a Chapter 11 case is a business that is still conducting business during its Chapter 11 bankruptcy case. For example, a debtor in possession might be a restaurant that has recently filed for Chapter 11 bankruptcy but wants to keep running the restaurant during the bankruptcy proceeding. In order for the restaurant to remain open, the business will need to use kitchen equipment and a delivery vehicle that were purchased on credit and for which creditors still have rights. In order to continue using property as a debtor in possession, the business must follow specific rules concerning the debtor-in-possession bank account, as well as abide by other requirements. While the business is open during the Chapter 11 proceeding, the business has a duty to act in the best interest of the creditors and must ask the court if it wants to engage in any business activities that are outside the regular scope of the business. Serve original “Debtor in Possession Statement of Depository and Authorization for Release of Information” form on the U.S. Trustee. File all tax returns in a timely manner after filing for Chapter 11 bankruptcy, and pay all taxes in a timely manner. 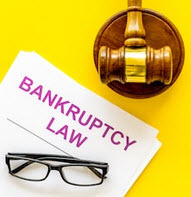 If you have questions about the requirements of a debtor in possession during a Chapter 11 bankruptcy proceeding, or if you want to know more about filing for bankruptcy as a small business, you should speak with a Tampa Bay bankruptcy attorney about your case. Contact Tampa Law Advocates, P.A. to learn more about the services we provide to small business owners in the Tampa area.